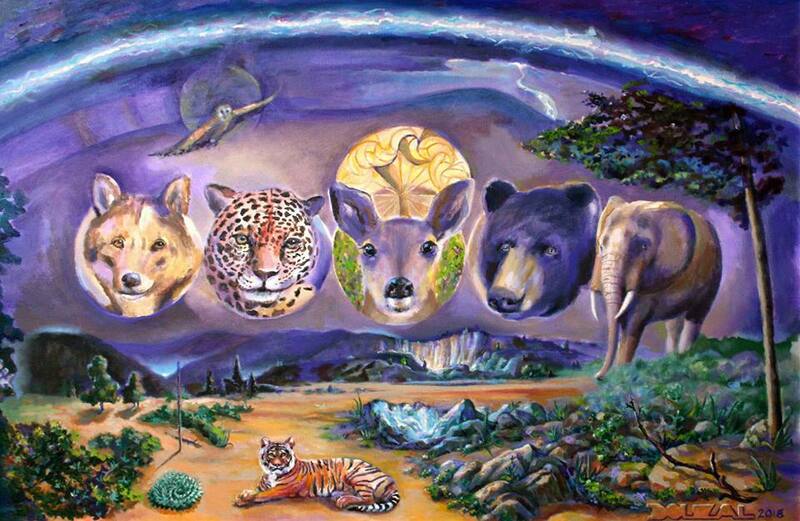 We are guardians and stewards of the natural world. We do not stand above it because we are part of it. If wildlife is irresponsibly taken from its natural habitat, the delicate balance of the ecosystem’s biodiversity will be disturbed. Animals have values that merit our respect and acknowledgement and much can be learned from them: adaptability, compassion, patience, instinct and intuition. The dynamic landscape is charged with the importance of protecting these wildlife species; the gold pattern in the center emphasizes each person’s intent.